This warrants against manufacturing defects for up to 7 years (Warranty Period) from the date of delivery. This warranty only applies to manufacturing and/or structural defects, and is not a comfort guarantee. This Warranty is effective from the date on which your BALI LATEX mattress is delivered (stated on this Warranty). This Warranty will not be renewed or extended under any circumstance. No additional Warranties will be issued for mattresses repaired during the Warranty Period. Repair charges are waived for the first year of purchase. For subsequent years, BALI LATEX mattress repair charges will be calculated as follows: the total number of years owned multiplied by 1/7th of the regular retail price at the time of purchase. For the 10th year, repair charges are 6/7th of the regular retail price at the time of purchase. Repair charges incurred for BALI LATEX mattresses purchased at specially reduced prices or as part of a promotion will be calculated based on the regular retail price at the time of purchase. The number of years owned will be rounded up to the next year, regardless of whether or not a full calendar year has lapsed. (E.G., A mattress owned for 1 year and 1 day will be considered to have been owned for 2 years.) Pro-rating of days will not be entertained. Charge for services rendered during the Warranty Period. This includes additional deliveries, handling and/or transportation costs incurred in inspecting the BALI LATEX mattress at your premises. This also includes the cost of transporting the BALI LATEX mattress to and from BALI LATEX’s warehouse/factory. Delivery charges will be in accordance with the rates stipulated by BALI LATEX as of the time a repair service or exchange is requested. Substitute similar repair materials or mattress models in the event that identical materials or models are not available at the time of repair or replacement. 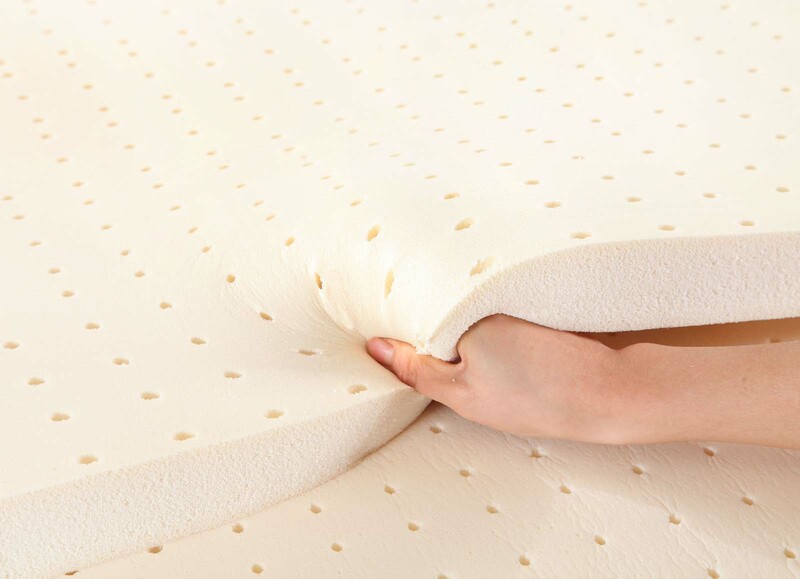 Refuse service when a BALI LATEX mattress is found on inspection to be in unsanitary conditions, or if the mattress falls short of expectations due to causes other than manufacturing defects. Refuse service when a BALI LATEX mattress has been moved to a premise that does not correspond with the Original Purchaser’s initial address (as stated on the corresponding Sales Order). This is because damages may have incurred during the movement of the BALI LATEX mattress. Body impressions of up to 38 mm (1.5 inches). Health issues or injuries sustained by the user as a result of using, moving or mishandling a BALI LATEX mattress*. Mattress handles. Mattress handles are designed for mattress positioning, and are not made to support the weight of a mattress. Fabrics torn, damaged springs, bent mattress borders and/or bent grid wires as a result of customer’s use. Mattresses that are deemed by BALI LATEX to have been mishandled or abused*, or damaged due to negligence. Slight variations in mattress sizes (within 2cm in width, height and length) or weight. Soiled mattresses, ticking, box springs or foundation boxes. Misfit of bed sheets and other bed linens. Please measure your mattress before purchasing bed linens. Mildew as a result of poor ventilation of the mattress. Mattresses infested with pests (includes bed bugs, dust mites, and other insects). Mattresses purchased from unauthorized dealers and/or retailers. Mattresses shipped to addresses outside of Singapore. Mattresses moved to an address that is different from the address stated on the supporting sales order or invoice. Mattresses sold for commercial purposes. Mattresses sold “as-is”, as “showroom piece” or “last piece” items. Transportation, inspection, moving and removal costs. Mattresses that have been serviced by unauthorized persons, vendors, retailers or workshops. Natural disasters, fires and acts of God. * Please refer to ‘Mishandling of Mattresses’ for examples of mishandling. Inadequate support from a weak, mismatching bed frame. Please ensure that the mattress is also properly ventilated to prevent the formation of mildew. Bending, jumping or standing on a mattress. Inappropriate storage of mattresses (especially applicable to inner-spring mattresses); please avoid storing your mattress on its edge over a prolonged period of time. Using or storing the mattress in an unsanitary environment.